We present a detailed analysis of the thermodynamics of exact asymptotically flat hairy black holes in Einstein-Maxwell-dilaton theory. We compute the regularized action, quasilocal stress tensor, and conserved charges by using a ‘counterterm method’ similar to the one extensively used in the AdS-CFT duality. In the presence of a non-trivial dilaton potential that vanishes at the boundary we prove that, for some range of parameters, there exist thermodynamically stable black holes in the grand canonical and canonical ensembles. To the best of our knowledge, this is the first example of a thermodynamically stable asymptotically flat black hole, without imposing artificial conditions corresponding to embedding in a finite box. J.D. Bekenstein, Black holes and entropy, Phys. Rev. D 7 (1973) 2333 [INSPIRE]. S.W. Hawking, Black Holes and Thermodynamics, Phys. Rev. D 13 (1976) 191 [INSPIRE]. D. Bigatti and L. Susskind, TASI lectures on the holographic principle, in proceedings of the Theoretical Advanced Study Institute in Elementary Particle Physics (TASI 99): Strings, Branes, and Gravity, Boulder, Colorado, U.S.A., 31 May-25 June 1999, World Scientific (1999), pp. 883-933 [hep-th/0002044] [INSPIRE]. U. Nucamendi and M. Salgado, Scalar hairy black holes and solitons in asymptotically flat space-times, Phys. Rev. D 68 (2003) 044026 [gr-qc/0301062] [INSPIRE]. C.A.R. Herdeiro and E. Radu, Asymptotically flat black holes with scalar hair: a review, Int. J. Mod. Phys. D 24 (2015) 1542014 [arXiv:1504.08209] [INSPIRE]. G. Dall’Agata, G. Inverso and M. Trigiante, Evidence for a family of SO(8) gauged supergravity theories, Phys. Rev. Lett. 109 (2012) 201301 [arXiv:1209.0760] [INSPIRE]. J. Tarrío and O. Varela, Electric/magnetic duality and RG flows in AdS 4 /CFT 3, JHEP 01 (2014) 071 [Addendum JHEP 12 (2015) 068] [arXiv:1311.2933] [INSPIRE]. A. Anabalón and D. Astefanesei, Black holes in ω-defomed gauged N = 8 supergravity, Phys. Lett. B 732 (2014) 137 [arXiv:1311.7459] [INSPIRE]. M. Trigiante, Gauged Supergravities, Phys. Rept. 680 (2017) 1 [arXiv:1609.09745] [INSPIRE]. F. Faedo, D. Klemm and M. Nozawa, Hairy black holes in N = 2 gauged supergravity, JHEP 11 (2015) 045 [arXiv:1505.02986] [INSPIRE]. A. Anabalón, D. Astefanesei, A. Gallerati and M. Trigiante, Hairy Black Holes and Duality in an Extended Supergravity Model, JHEP 04 (2018) 058 [arXiv:1712.06971] [INSPIRE]. M. Henningson and K. Skenderis, The Holographic Weyl anomaly, JHEP 07 (1998) 023 [hep-th/9806087] [INSPIRE]. K. Skenderis, Asymptotically Anti-de Sitter space-times and their stress energy tensor, Int. J. Mod. Phys. A 16 (2001) 740 [hep-th/0010138] [INSPIRE]. R.L. Arnowitt, S. Deser and C.W. Misner, The Dynamics of general relativity, Gen. Rel. Grav. 40 (2008) 1997 [gr-qc/0405109] [INSPIRE]. J.D. Brown and J.W. York Jr., Quasilocal energy and conserved charges derived from the gravitational action, Phys. Rev. D 47 (1993) 1407 [gr-qc/9209012] [INSPIRE]. D. Astefanesei and E. Radu, Quasilocal formalism and black ring thermodynamics, Phys. Rev. D 73 (2006) 044014 [hep-th/0509144] [INSPIRE]. R.B. Mann, D. Marolf and A. Virmani, Covariant Counterterms and Conserved Charges in Asymptotically Flat Spacetimes, Class. Quant. Grav. 23 (2006) 6357 [gr-qc/0607041] [INSPIRE]. D. Astefanesei, R.B. Mann and C. Stelea, Note on counterterms in asymptotically flat spacetimes, Phys. Rev. D 75 (2007) 024007 [hep-th/0608037] [INSPIRE]. C. Herdeiro, E. Radu and C. Rebelo, Thermodynamical description of stationary, asymptotically flat solutions with conical singularities, Phys. Rev. D 81 (2010) 104031 [arXiv:1004.3959] [INSPIRE]. G. Compere and F. Dehouck, Relaxing the Parity Conditions of Asymptotically Flat Gravity, Class. Quant. Grav. 28 (2011) 245016 [Erratum ibid. 30 (2013) 039501] [arXiv:1106.4045] [INSPIRE]. D. Astefanesei, R. Ballesteros, D. Choque and R. Rojas, Scalar charges and the first law of black hole thermodynamics, Phys. Lett. B 782 (2018) 47 [arXiv:1803.11317] [INSPIRE]. A. Anabalón, Exact Black Holes and Universality in the Backreaction of non-linear σ-models with a potential in (A)dS 4, JHEP 06 (2012) 127 [arXiv:1204.2720] [INSPIRE]. A. Aceña, A. Anabalón and D. Astefanesei, Exact hairy black brane solutions in AdS 5 and holographic RG flows, Phys. Rev. D 87 (2013) 124033 [arXiv:1211.6126] [INSPIRE]. A. Anabalón and D. Astefanesei, On attractor mechanism of AdS 4 black holes, Phys. Lett. B 727 (2013) 568 [arXiv:1309.5863] [INSPIRE]. A. Aceña, A. Anabalón, D. Astefanesei and R.B. Mann, Hairy planar black holes in higher dimensions, JHEP 01 (2014) 153 [arXiv:1311.6065] [INSPIRE]. A. Anabalón, T. Andrade, D. Astefanesei and R.B. Mann, Universal Formula for the Holographic Speed of Sound, Phys. Lett. B 781 (2018) 547 [arXiv:1702.00017] [INSPIRE]. A. Anabalón, D. Astefanesei and C. Martinez, Mass of asymptotically anti-de Sitter hairy spacetimes, Phys. Rev. D 91 (2015) 041501 [arXiv:1407.3296] [INSPIRE]. S.R. Lau, Light cone reference for total gravitational energy, Phys. Rev. D 60 (1999) 104034 [gr-qc/9903038] [INSPIRE]. R.B. Mann, Misner string entropy, Phys. Rev. D 60 (1999) 104047 [hep-th/9903229] [INSPIRE]. P. Kraus, F. Larsen and R. Siebelink, The gravitational action in asymptotically AdS and flat space-times, Nucl. Phys. B 563 (1999) 259 [hep-th/9906127] [INSPIRE]. S.W. Hawking and S.F. Ross, Duality between electric and magnetic black holes, Phys. Rev. D 52 (1995) 5865 [hep-th/9504019] [INSPIRE]. A. Chamblin, R. Emparan, C.V. Johnson and R.C. Myers, Holography, thermodynamics and fluctuations of charged AdS black holes, Phys. Rev. D 60 (1999) 104026 [hep-th/9904197] [INSPIRE]. J.W. York Jr., Black hole thermodynamics and the Euclidean Einstein action, Phys. Rev. D 33 (1986) 2092 [INSPIRE]. R. Monteiro, M.J. Perry and J.E. Santos, Thermodynamic instability of rotating black holes, Phys. Rev. D 80 (2009) 024041 [arXiv:0903.3256] [INSPIRE]. E.W. Hirschmann, L. Lehner, S.L. Liebling and C. Palenzuela, Black Hole Dynamics in Einstein-Maxwell-Dilaton Theory, Phys. Rev. D 97 (2018) 064032 [arXiv:1706.09875] [INSPIRE]. P. Jai-akson, A. Chatrabhuti, O. Evnin and L. Lehner, Black hole merger estimates in Einstein-Maxwell and Einstein-Maxwell-dilaton gravity, Phys. Rev. D 96 (2017) 044031 [arXiv:1706.06519] [INSPIRE]. M. Cárdenas, F.-L. Julié and N. Deruelle, Thermodynamics sheds light on black hole dynamics, Phys. Rev. D 97 (2018) 124021 [arXiv:1712.02672] [INSPIRE]. F. Mccarthy, D. Kubizňák and R.B. Mann, Dilatonic Imprints on Exact Gravitational Wave Signatures, Phys. Rev. D 97 (2018) 104025 [arXiv:1803.01862] [INSPIRE]. Y. Brihaye, T. Delplace, C. Herdeiro and E. Radu, An analytic effective model for hairy black holes, Phys. Lett. B 782 (2018) 124 [arXiv:1803.09089] [INSPIRE]. A. Bzowski, A. Gnecchi and T. Hertog, Interactions resolve state-dependence in a toy-model of AdS black holes, JHEP 06 (2018) 167 [arXiv:1802.02580] [INSPIRE]. R.C. Myers and J.Z. Simon, Black Hole Thermodynamics in Lovelock Gravity, Phys. Rev. D 38 (1988) 2434 [INSPIRE]. P. Bueno and P.A. Cano, Four-dimensional black holes in Einsteinian cubic gravity, Phys. Rev. D 94 (2016) 124051 [arXiv:1610.08019] [INSPIRE]. P. Bueno and P.A. Cano, Universal black hole stability in four dimensions, Phys. Rev. D 96 (2017) 024034 [arXiv:1704.02967] [INSPIRE]. G.W. Gibbons and K.-i. Maeda, Black Holes and Membranes in Higher Dimensional Theories with Dilaton Fields, Nucl. Phys. B 298 (1988) 741 [INSPIRE]. D. Garfinkle, G.T. Horowitz and A. Strominger, Charged black holes in string theory, Phys. Rev. D 43 (1991) 3140 [Erratum ibid. D 45 (1992) 3888] [INSPIRE]. R. Kallosh, A.D. Linde, T. Ortín, A.W. Peet and A. Van Proeyen, Supersymmetry as a cosmic censor, Phys. Rev. D 46 (1992) 5278 [hep-th/9205027] [INSPIRE]. K. Hajian and M.M. 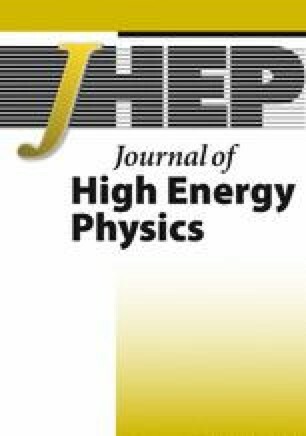 Sheikh-Jabbari, Redundant and Physical Black Hole Parameters: Is there an independent physical dilaton charge?, Phys. Lett. B 768 (2017) 228 [arXiv:1612.09279] [INSPIRE]. A. Chamblin, R. Emparan, C.V. Johnson and R.C. Myers, Charged AdS black holes and catastrophic holography, Phys. Rev. D 60 (1999) 064018 [hep-th/9902170] [INSPIRE]. S. Ferrara, R. Kallosh and A. Strominger, N = 2 extremal black holes, Phys. Rev. D 52 (1995) R5412 [hep-th/9508072] [INSPIRE]. A. Strominger, Macroscopic entropy of N = 2 extremal black holes, Phys. Lett. B 383 (1996) 39 [hep-th/9602111] [INSPIRE]. S. Ferrara and R. Kallosh, Supersymmetry and attractors, Phys. Rev. D 54 (1996) 1514 [hep-th/9602136] [INSPIRE]. K. Goldstein, N. Iizuka, R.P. Jena and S.P. Trivedi, Non-supersymmetric attractors, Phys. Rev. D 72 (2005) 124021 [hep-th/0507096] [INSPIRE]. D. Astefanesei, K. Goldstein, R.P. Jena, A. Sen and S.P. Trivedi, Rotating attractors, JHEP 10 (2006) 058 [hep-th/0606244] [INSPIRE]. S.W. Hawking and D.N. Page, Thermodynamics of Black Holes in anti-de Sitter Space, Commun. Math. Phys. 87 (1983) 577 [INSPIRE]. D.J. Gross, M.J. Perry and L.G. Yaffe, Instability of Flat Space at Finite Temperature, Phys. Rev. D 25 (1982) 330 [INSPIRE]. T. Prestidge, Dynamic and thermodynamic stability and negative modes in Schwarzschild-anti-de Sitter, Phys. Rev. D 61 (2000) 084002 [hep-th/9907163] [INSPIRE]. J.P. Gregory and S.F. Ross, Stability and the negative mode for Schwarzschild in a finite cavity, Phys. Rev. D 64 (2001) 124006 [hep-th/0106220] [INSPIRE]. T. Hertog and K. Maeda, Stability and thermodynamics of AdS black holes with scalar hair, Phys. Rev. D 71 (2005) 024001 [hep-th/0409314] [INSPIRE]. H.S. Reall, Classical and thermodynamic stability of black branes, Phys. Rev. D 64 (2001) 044005 [hep-th/0104071] [INSPIRE].